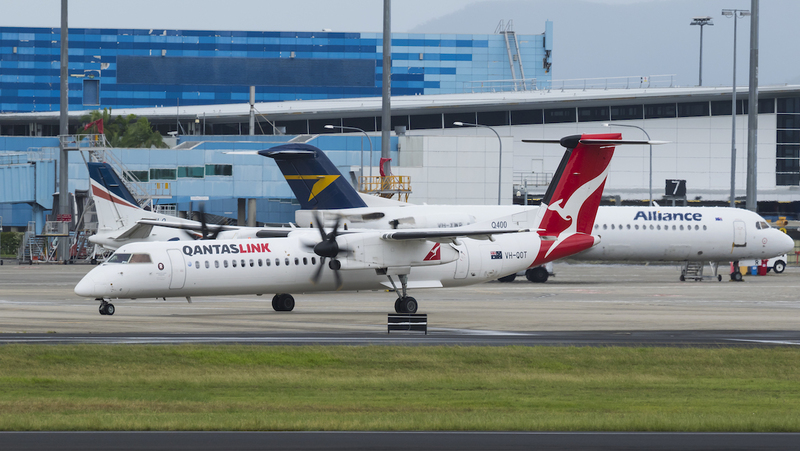 In a sign of confidence regarding the outlook for the resources-rich states of Queensland and Western Australia, Qantas has bought a 19.9 per cent stake in regional and charter operator Alliance Aviation Services and signalled its intention to increase that shareholding over time. The company said it a statement on Friday it planned to seek Australian Competition and Consumer Commission (ACCC) approval to eventually become the majority owner of Alliance. “Qantas expects to ultimately seek regulatory approval from the ACCC to build on its current shareholding, with a longer-term view of taking a majority position in Alliance Airlines in order to better serve the charter market by unlocking synergies,” Qantas said. 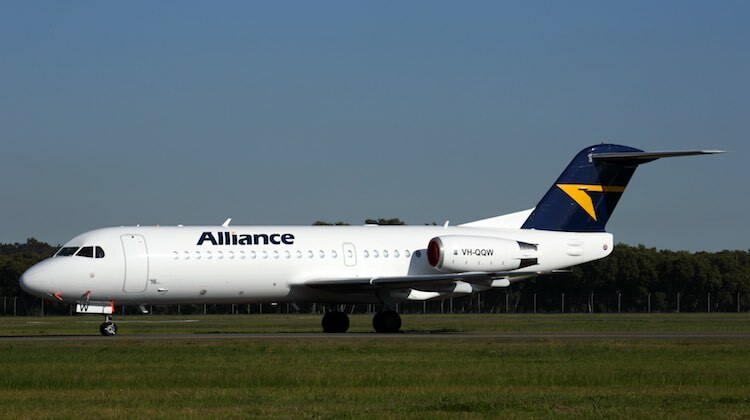 Alliance shares were in a trading halt on the Australian Securities Exchange (ASX) on Friday morning prior to the Qantas transaction being made public. The company said it was being advised by Catapult Partners and Herbert Smith Freehills. Alliance shares closed Thursday’s Australian Securities Exchange (ASX) session at $2.30. Qantas said it purchased its 19.9 per cent stake at $2.40 per share. Since resuming trade, Alliance shares have risen about nine per cent to $2.52. “It also reflects our confidence in future demand growth from the resources sector, particularly in WA and Queensland,” Joyce said in a note to staff on Friday seen by Australian Aviation. Joyce said the deal would have no impact on Qantas’s operations or its commercial arrangements with Alliance. Further, the Qantas boss said the move towards a potential majority stake would involve a “complex regulatory process” with the ACCC and described it as a “long-term proposition that we’ll work towards”. “It’s because the Qantas Group is in a position of strength that we’re able to act on opportunities like this. Thank you for your continued hard work that helps makes this possible,” Joyce told staff. 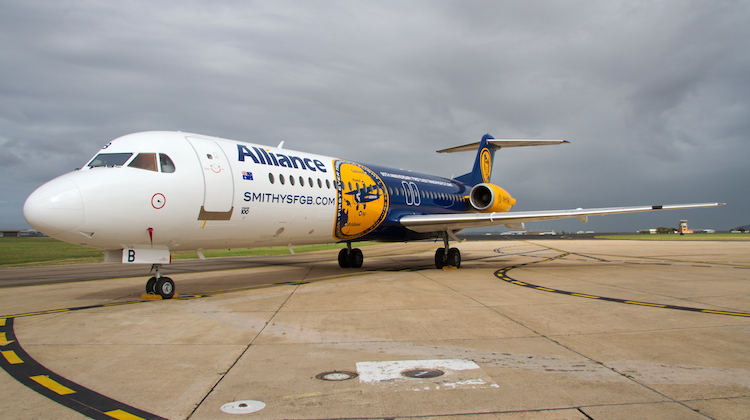 The most recent financial results showed Alliance’s flying hours rose 34 per cent to 34,612 hours in the 12 months to June 30 2018, compared with the prior corresponding period. Alliance reported net profit of $18.1 million for 2017/18, down two per cent from $18.5 million in the prior corresponding period. Profit before tax rose 33 per cent to $26.1 million, while revenue improved 23.4 per cent to $247.7 million. In November, it said it expected to add nine aircraft during 2018/19, which would increase the fleet, which comprises Fokker 100s and Fokker 70s, 41 aircraft by June 30 2019. Alliance chief executive Lee Schofield said recently there was plenty of life left in the fleet given the low hours and cycles. “As we sit here now we are still of the view that we’ve got around 10 years left to operate in the fleet,” Schofield said in the April 2018 magazine edition of Australian Aviation. “Some people focus on the calendar age of the fleet but really that is only a minor consideration. More importantly it is the hours and cycles that are on the fleet and we are only just over a third of the way through on average. 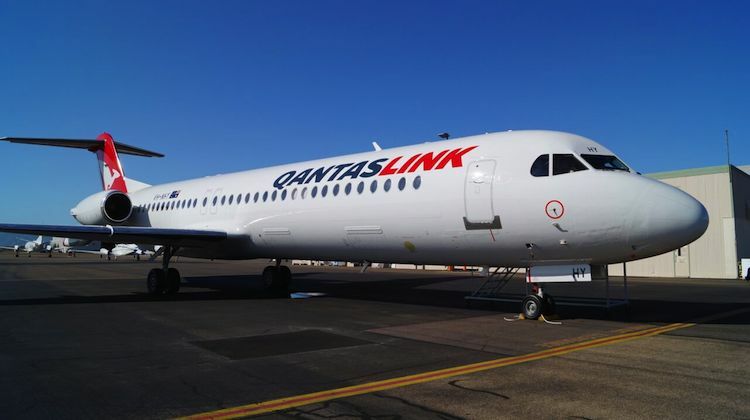 Qantas also has 17 Fokker 100 aircraft operated by Perth-based Network Aviation, which is part of the QantasLink group of carriers. So where will this leave Virgin and its flights operated by Alliance on its behalf. Or is this a genuine business concept as Qantas has realised that Alliance is an opportunity to outsource more routes to allow them to concentrate only the very profitable ones. So Virgin has Alliance doing quite a few flights on contract. Qantas comes along & buys 19.9% initially. So middle term, will Virgin get Virgin regional to operate the routes Alliance is doing now? Hopefully Alliance will be able to survive long term as a stand alone entity, and not be absorbed into the Qantas group, rebranded as Qantas link or similar. Comment by Leo Schofield with respect to rear mounted engines installed on their Fokkers for servicing remote area runways, was, I thought, most interesting. Typical monopolistic Qantas. Will there come a time when all we will see in Australia’s skies are red tails? I support qantas in this move, having shares in the company will now increase my share price. Very disappointing indeed, one has to ask was this an aggressive share purchase, or by stealth, or by consent. Shame on the authorities who have allowed this to happen.